Soft errors are a multifaceted issue at the crossroads of applied physics and engineering sciences. Soft errors are by nature multiscale and multiphysics problems that combine not only nuclear and semiconductor physics, material sciences, circuit design, and chip architecture and operation, but also cosmic-ray physics, natural radioactivity issues, particle detection, and related instrumentation. 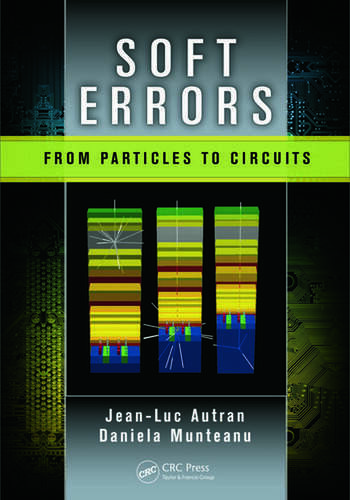 Soft Errors: From Particles to Circuits presents the state of the art of this complex subject, providing comprehensive knowledge of the complete chain of the physics of soft errors. 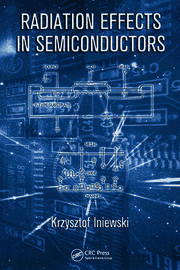 The book makes an ideal text for introductory graduate-level courses, offers academic researchers a specialized overview, and serves as a practical guide for semiconductor industry engineers or application engineers. Jean-Luc Autran is distinguished professor of physics and electrical engineering at Aix-Marseille University and honorary member of the University Institute of France (IUF). He is also deputy director of the Institute for Materials, Microelectronics, and Nanosciences of Provence (IM2NP, UMR CNRS 7334) and the principal investigator of the Altitude Single-event effects Test European Platform (ASTEP). He is the author or coauthor of more than 300 papers published in international journals and conferences, a senior member of the Institute of Electrical and Electronics Engineers (IEEE), and a fellow of the Société de l’Electricité, de l’Electronique et des Technologies de l’Information et de la Communication (SEE). Daniela Munteanu is director of research at the National Center for Scientific Research (CNRS). She is a fellow researcher at the Institute for Materials, Microelectronics, and Nanoscience of Provence (IM2NP, UMR CNRS 7334) and has 15 years of experience in characterization, modeling, and simulation of semiconductor devices. Her current research interests include emerging complementary-metal-oxide-semiconductor (CMOS) devices, compact modeling, numerical simulation in the domains of nanoelectronics, and radiation effects on components and circuits. She is also the author or coauthor of more than 200 papers published in international journals and conferences, and has supervised 12 Ph.D theses. "Soft Errors: From Particles to Circuits covers all aspects of the design, use, application, performance, and testing of parts, devices, and systems and addresses every perspective from an engineering, scientific, or physical point of view. … Many good texts have been written on similar subjects, but none as thorough, as clear, and as complete as this volume. … [The authors] have mastered the past, absorbed the present, and captured the trends of the future in one of the most important technologies of our time. … An extremely useful text that has succeeded in presenting with clarity a complex reality in accessible, understandable, and helpful terms." 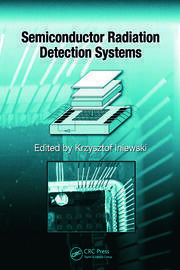 "The few radiation effects books out there are focused on space environments or simply on MOSFET degradation. This book…is focused on the terrestrial environment and goes from basic physics and devices to final product applications, and thus should appeal to a much broader audience than other texts. … This book goes a long way in educating future and existing engineers on how to determine the causes and magnitude of the problems in such systems. 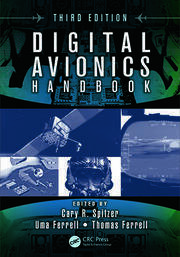 … [This book’s strengths are its] focus on the terrestrial environment and the breadth of coverage from particle to device including characterization and modeling techniques."